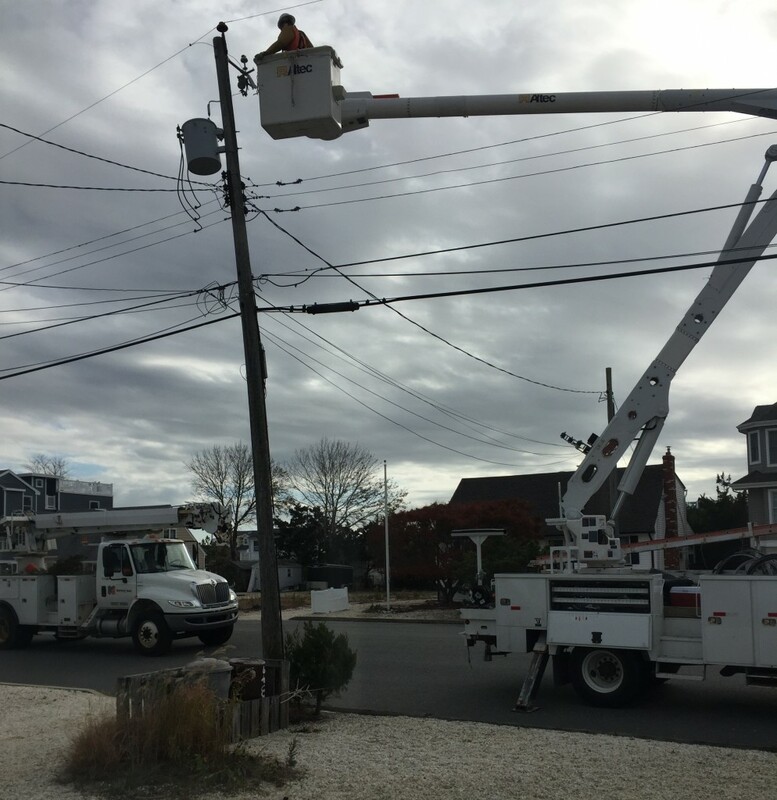 Officials with Jersey Central Power and Light company said this week that a continuing plan to upgrade the electrical system on Ocean County’s northern barrier island is steadily progressing over the winter months. The project is currently focused on areas in the Lavallette postal zone, including the Ocean Beach neighborhoods and the bulk of the remaining North Beach areas of Toms River Township. Officials from JCP&L addressed the Ocean County freeholder board on Wednesday. In many cases, Sessa said, older utility poles posed safety hazards in barrier island neighborhoods, as they were originally designed to provide power to small bungalows and are now being utilized to carry electricity to much taller structures. In some cases, Vicari said, Toms River firefighters had to evacuate homes where fires were burning just inches from electrical transformers outside bedroom windows. Sessa said the larger poles are being installed within the company’s right-of-ways, primarily in backyard areas and on neighborhood streets that are narrow and difficult to navigate. “Our target is to have this completed before summer,” Sessa said. Officials at the freeholder meeting said JCP&L is currently in the process of opening an office on the island in order to better serve customers and expedite requests that come in as homes are raised, demolished or rebuilt. In many cases, there must be special accommodations made in construction plans so electrical meters can be installed in areas that both comply with floodplain regulations and are accessible to technicians. Whenever a meter is located higher than six feet above grade, permanently fixed stairs and a landing must be provided. “Make us part of your rebuilding plans,” and call JCP&L with questions, Sessa said. Customers who have questions regarding the placement of electrical equipment can call 1-800-662-3115, Sessa said.